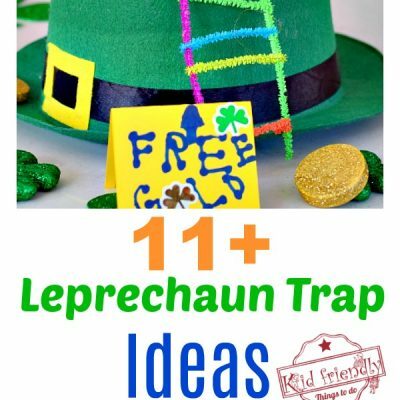 There are so many possibilities in making Leprechaun traps. The traps that get my attention are the easy ones. We keep it as simple as possible. Our traps have changed over the years. This is our first trap from years ago. The kids literally checked the trap every five minutes. 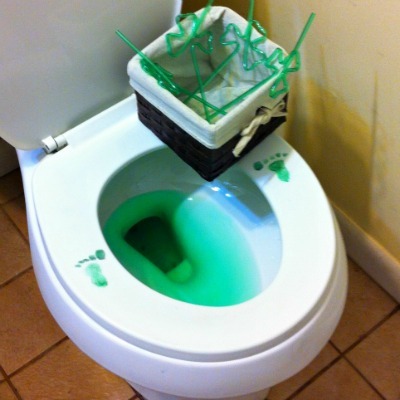 They couldn’t wait to trap a leprechaun. Between you and I, they would have freaked if they saw a leprechaun at the bottom of our hat. They’ve all had one thing in common. 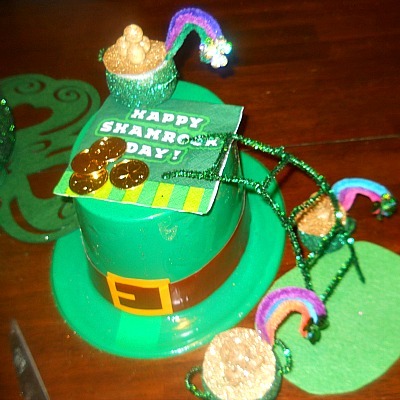 They’ve always been a Dollar Tree hat with the center cut out, St. Patrick’s Day decorations (most likely from the Dollar Tree, as well) and simple homemade touches surround the hat. 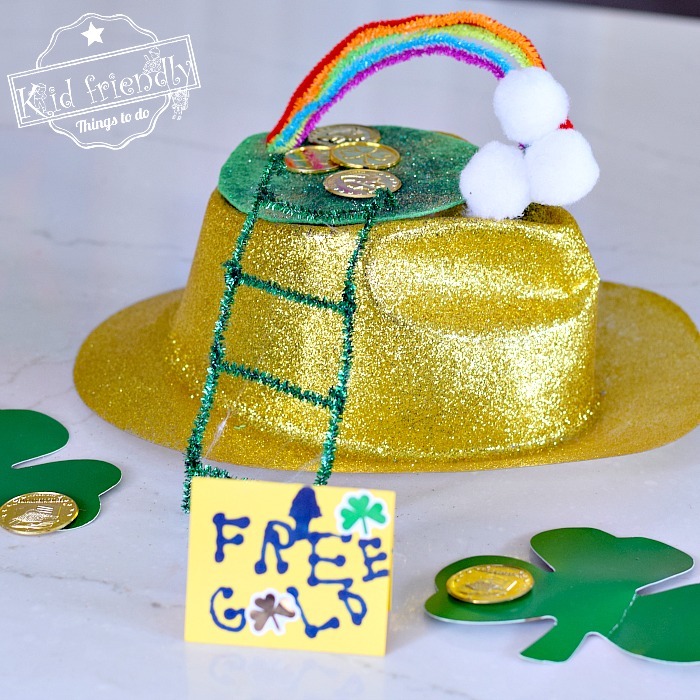 A plastic St. Patrick’s Day hat, or a gold hat (because Leprechauns love gold) that is easy to cut a hole through the top. 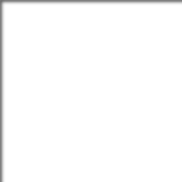 Sneaky, right? You can really let yourself go crazy or dial it back and keep it real simple. 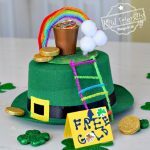 The leprechauns don’t need anything complicated. They just want gold. 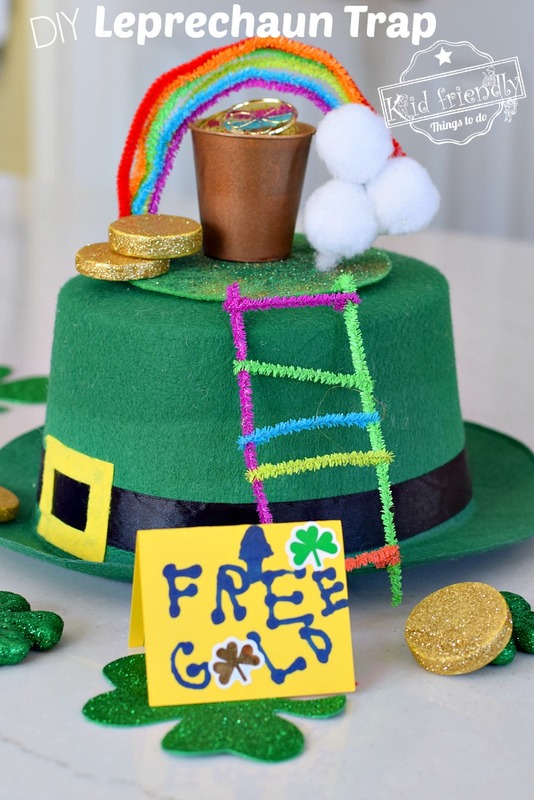 A gold hat like the one above would really get their attention. That’s It. 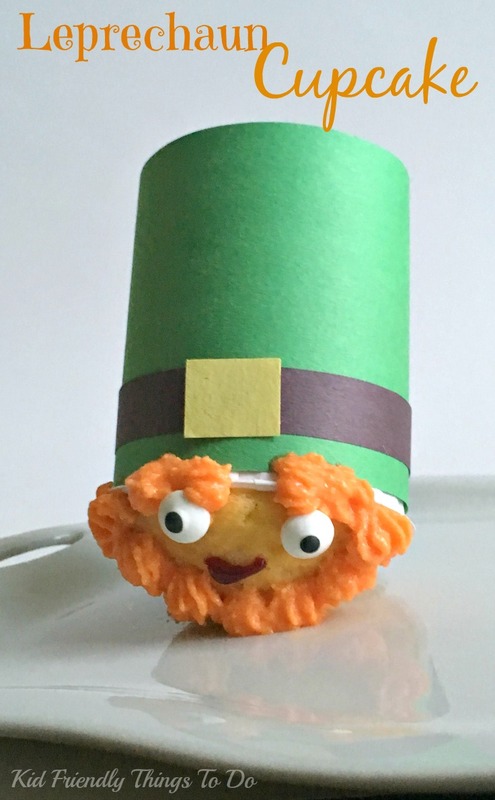 I hope this has helped you find an easy way to add a fun memory to share with your kids for years to come.